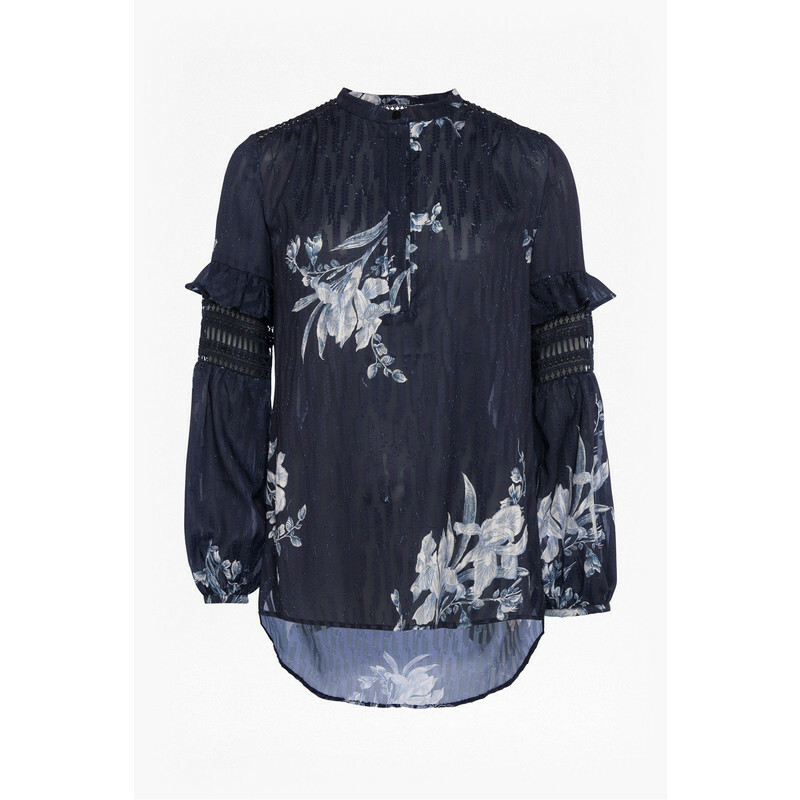 The Ellette Mix Frill Sleeve Blouse is a lightweight shirt with a loose fit and a popover style. 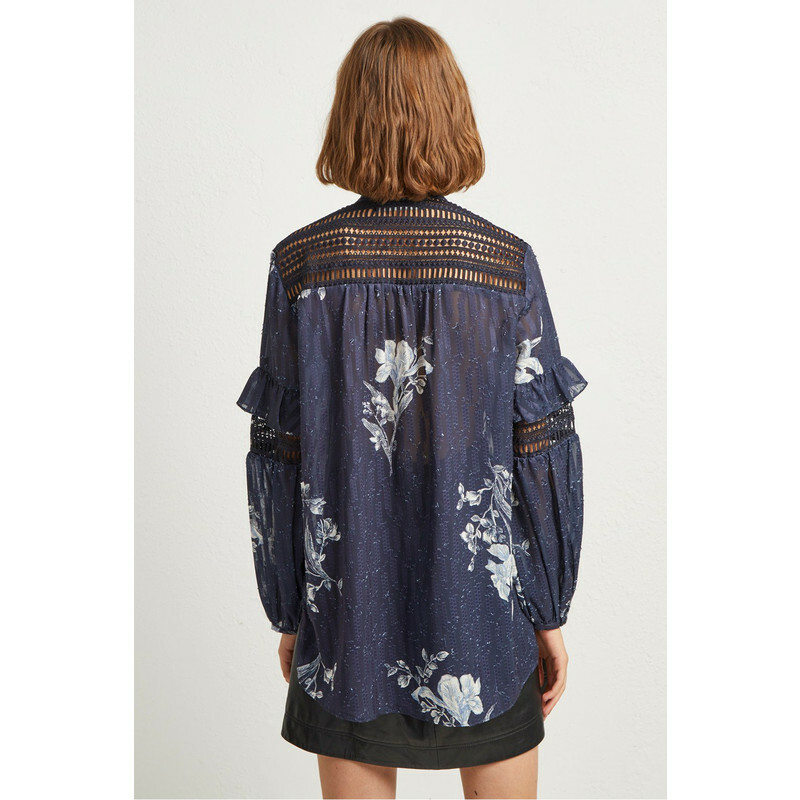 It is patterned with a pretty floral print and features lace inserts and a frill at the elbow. It has long sleeves and a grandad collar.